In these recent years, street and fast food business are widely appreciated for its various food items. They tempt every generation and resulting street food business to be a brightened business day by day in all over the world. In India no party time is completed without street and fast options so street food business is a very effective. Chaat Ka Chaska street and fast food franchise in Bikaner is here to engross the solemn aim of letting people to own their business in food industry. Thus, know more about our franchise and join to expand your ROI in no time. Why Chaat Ka Chaska in Bikaner? Bikaner is one of the beautiful place and remarkable city well known in all over the world. The major attraction of the city includes Junagarh Fort, Laxmi Niwas Palace and several beautiful temples like Jain temple, Gajner temple, Karni, Mata temple, and Laxminath temple. There are other attractive spot like National Research Centre on equines, Bikaner Campus, Safaris, Bikaner Miniature Arts, Natural and Wildlife Sanctuary, Night Tours, and Maharaja Craft factory. Bikaner is also, known for its savoury snack Bhujia namkeen, the Samosas and the Kachori which you get at every nook and corner are highly recommended by the locals. Thus, Chaat Ka Chaska street and fast food franchise outlet in Bikaner will earn its true success. Along with local populace, different types of tourist folk from national and international borders appreciate street food speciality and this will aid to gain long term and secured business in food industry. So, help yourself to earn best and in good figures with our Chaat Ka Chaska franchise in Bikaner. 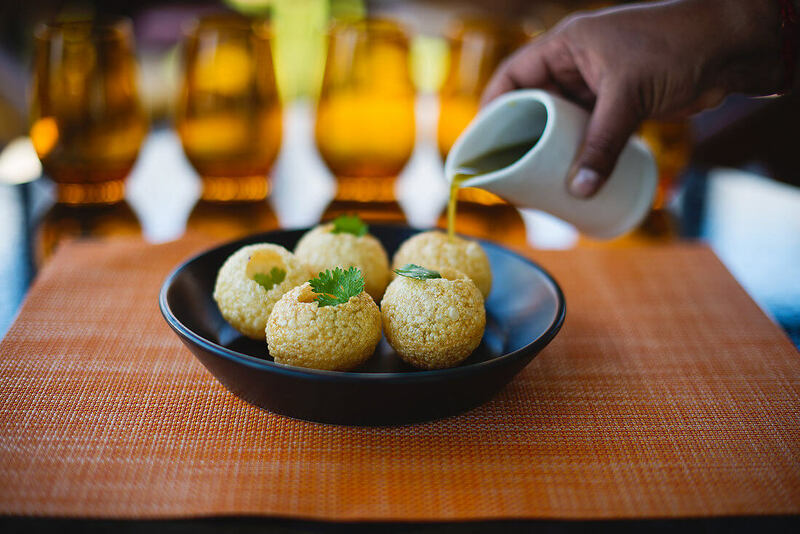 Including various Spicy Tangy flavour of chaats, Chinese food items like Momos, Noodles, Spring Rolls, Fried Rice, also some light food like Idli and Dosa with Sāmbhar and chutney highlights our wide variety of options for the foodies. There are other fast food varieties that are Pizza, Garlic Bread, Golgappas, Mirchi Pakodas, Chinese Samosas, Gupchups, Stuffed Pani Pori, Pav Bhaji, Dahi Bhalle, French Fries, Batata Vada, Kathie Roll, Puffs, and wide multiple of beverages. Thus, it is very sure that Chaat Ka Chaska street and fast food franchise in Bikaner servers best out of best fast food services. They are tempting in taste and will turn your visitors to be your regular customers. The street food business incorporated by Chaat Ka Chaska street and fast food franchise in Bikaner is to standardize street food segment and take it to the global level. Our aim matches our practical approach as we never compromise with the quality of the food and remain original in catering the taste of the different fast food items. This makes us stand different from other vendors in the market. So, if you want to get attach with one of the best street food franchise then Chaat Ka Chaska street and fast food franchise in Bikaner is there for you at every end.